This summer, Creative Art Works celebrated the accomplishments of all our Youth Apprentices with either a public art unveiling or a video documentary premier. These culminating events are a crucial part of CAW's Public Art Youth Employment program. They offer friends, family, and the community an opportunity to show their support and appreciation for our young artists. They also provide an opportunity for those young artists to reflect on the impact their summer job has on their community and their own personal development. Many of our Youth Apprentices wrote and recited original poetry to commemorate the unveiling of their team's mural. 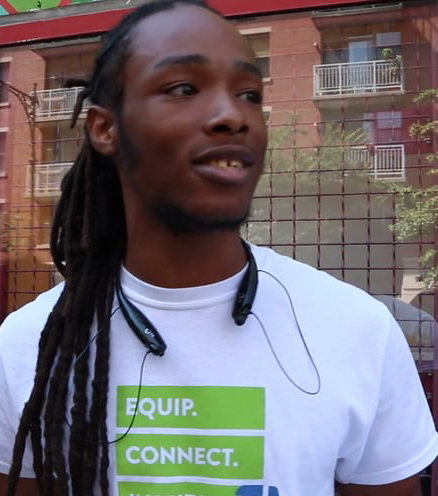 Meshack Merrills believes the mural, Ascension, which is CAW's third for PAL Harlem Center, represents the grit and determination of his team, as well as the hopes they have for the future of the Harlem community. Meshack's passionate performance surprised his fellow Apprentices and galvanized the crowd. We've printed an excerpt below, but we encourage you to watch him perform his poem in its entirety on our Vimeo page HERE. You can read more quotes from our 2017 summer Youth Apprentices in our end-of-summer newsletter, which also includes links to all five mini-documentaries by our Multimedia team. 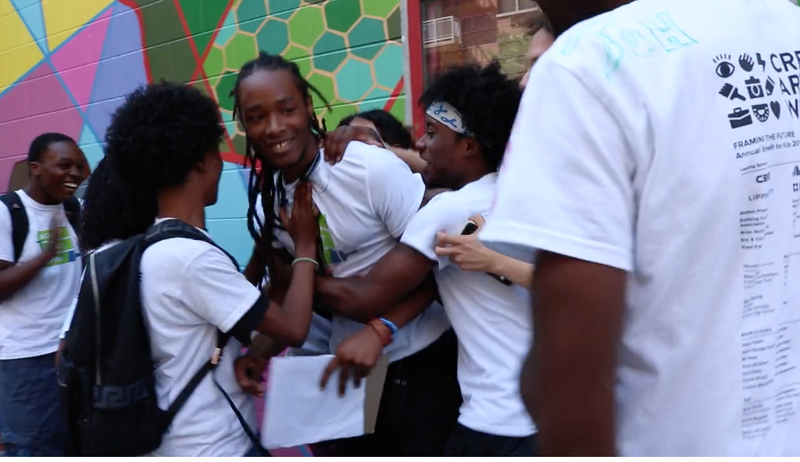 Creative Art Works continues its long-standing partnership with the Police Athletic League (PAL) with our third summer Public Art Youth Employment program at PAL Harlem Center. Our Youth Apprentices hope their mural will inspire young people to make healthy life choices, to push themselves to excel, and to work for positive change in their community.